OSHA works to assure safe and healthy working conditions and uses their authority to keep regulations and standards up to date. Below we have compiled some updates from the agency this year and what changes may be in the future. Serious, Other Than Serious, or Posting Requirement Violations: $13,260 per violation, increased from last year’s maximum penalty of $12,675. Failure to Abate Violations: $13,260 per day, which was also increased from $12,675 in 2018. Willful or Repeated Violations: $132,598 per violation, up from $126,749. The increase in penalty amounts will happen again next year as the United States Department of Labor is now required to adjust OSHA penalties for inflation every year by January 15. Earlier this year OSHA published its final rule on electronic recordkeeping for injury and illness. In response to privacy concerns, OSHA amended its regulation that required employers to electronically submit OSHA Form 301: Log of Work-Related Injuries and Illnesses and OSHA Form 301: Injury and Illness Incident Report. However, not everyone is happy with this new rule. Some argue that by not collecting this kind of data, it makes it harder to identify and address safety issues that harm workers. It is important to note that information from OSHA Form 300A: Summary of Work-Related Injuries and Illnesses is still required. On March 11, OSHA published a Request for Information with the Federal Register about issues related to their powered industrial truck standards. 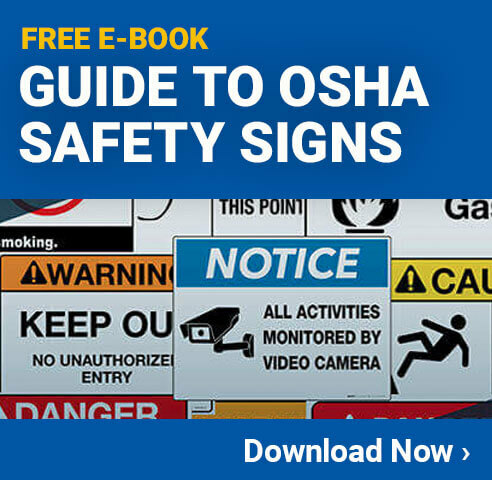 OSHA is accepting comments and material submissions until June of this year as they determine if any action must be taken to “reduce regulatory burdens while maintaining safety.” The standard for powered industrial trucks has been updated several times since it went into effect in 1971 and has consistently been one of the most cited violations. A proposed 2020 federal budget released in March may have an impact on OSHA if accepted. OSHA’s total budget would increase their funding as well as their federal enforcement budget, whistleblower programs, compliance assistance, and safety and health statistics. OSHA is changing some of its policies, but that doesn’t mean you can’t be prepared for your inspection. Conduct a safety audit in your facility and gather information about risks and hazards that must be addressed. Safety audits will not only help you stay compliant with regulations, but keep your workers from becoming injured or ill, improve the company’s bottom line, and make for a more efficient workplace.